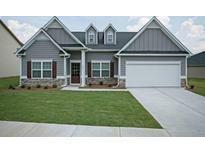 Below you can view all the homes for sale in the Landings At Bethany subdivision located in Covington Georgia. Listings in Landings At Bethany are updated daily from data we receive from the Atlanta multiple listing service. To learn more about any of these homes or to receive custom notifications when a new property is listed for sale in Landings At Bethany, give us a call at 404-998-4152. Stainless Steel Appliances Home Is Under Contruction, Photos Are Representative, Not Of The Actual Property. MLS#6528743. Sdc Realty, Llc.. Buyers Love The Avery'S Curb Appeal And Its Expansive Mudroom At The Side-Entry Garage Entrance. MLS#6528751. Sdc Realty, Llc.. Photos Are Representative Of A Mcintosh MLS#6528752. Sdc Realty, Llc.. Buyers Love The Avery'S Curb Appeal And Its Expansive Mud Room At The Side Garage Entrance. *****************Stock Photos Only****************** MLS#6528731. Sdc Realty, Llc..
A Roommate Floor Plan With 2 Bedrooms And A Bath Away From The Private Master Suite. Stainless Steel Appliances. MLS#6528730. 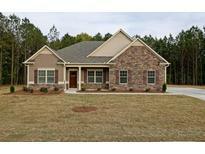 Sdc Realty, Llc..
You Do Not Want To Miss This Beautiful Home! MLS#8550518. Keller Williams Rlty Atl. Part. 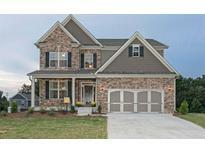 Only 40 Mins From D'Town Atlanta,Covington Known As “Hollywood Of The South!” MLS#6124894. Atlanta Communities.